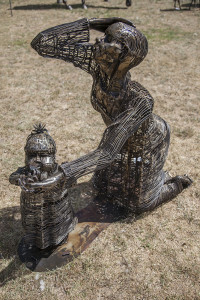 In 2006 the Spirit of the Land Lockhart Festival was born and farmers were encouraged to use their skills to enter a farm art sculpture competition. The Festival has grown over this time to attract high calibre artists nation wide. As we look forward to our 13th Festival, the Spirit of the Land committee is calling artists throughout Australia to participate in the Spirit of the Land Art Festival 2019, with a prize pool of over $20,000. 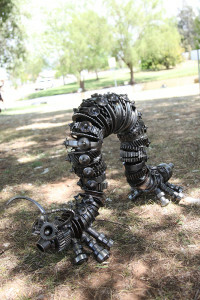 The National Farm Art Sculpture Award is a $10,000 award. 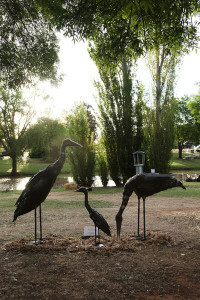 The National Farm Art Sculpture Award is for sculptures that showcase and capture the uniqueness of the Australian landscape, flora, fauna, and lifestyle of living on the land. 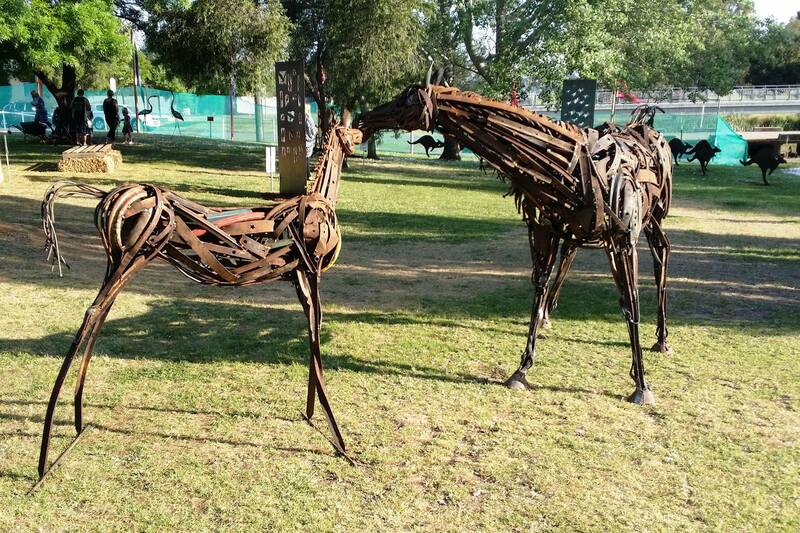 These sculptures must be created predominantly from metal and represent the art form “farm art”. The re-use of old machinery and equipment is encouraged. We invite you and your associates to participate in this non-acquisition award. 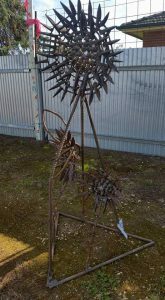 First prize in the National Farm Art Sculpture Award receives $10,000 prize money, with their art work remaining their own property. Registration is open to emerging and established artists who can exhibit in any or all categories. There is no limitation on the number of entries. Entry fee of $25 or $5 (for Youth Artist and small sculptures categories only) for each entry payable to Lockhart Spirit of The Land Inc. Entries close on 10 October 2019. A brief resume and personal photograph is requested for promotional purposes and on display during the festival. Early registration will assist with our national/international promotional campaign and photographs of artworks would also be appreciated. These can be emailed or posted. The Festival attracts national and international media. Installation of artworks will be Thursday, 10 October 2019. The Festival will officially open on Friday evening, 11 October 2019 and close on Sunday, 13 October 2019. Exhibits can be collected on Sunday, 13 October 2019 after 2 pm. Work not sold may be considered by the Festival Arts’ committee for inclusion in Lockhart’s Sculpture Park for a period of up to three months. Unsold works are encouraged to advertise on the festival website for sale, standard commissions apply. Whilst all care is taken, artists are responsible for insurance. Prize winners will be announced on Friday night, 11 October 2019 at the Spirit of the Land Awards Night. The Sculpture’s Information Pack includes registration fees, terms and conditions, awards and prizes, commissions and event schedules. If you wish to make an enquiry or enter your art into this year’s competition please follow the link below or contact the Committee who will be able to deal with your request in the correct manner.